DUBAI (Reuters) – The Jeddah-based Islamic Development Bank (IsDB) will move hundreds of its staff outside Saudi Arabia and play a lead role in designing investment projects as the multilateral lender changes strategy under a new president. With 57 member countries across four continents, operating assets of $16 billion and subscribed capital of $70 billion, the IsDB is a major lender to much of the Muslim world. It now aims to decentralize in order to get closer to its member countries, while playing a more aggressive role conceiving projects rather than simply serving as a minority investor, president Bandar Hajjar said in an interview. “We are transforming the bank from a development bank into a bank of developers,” said Hajjar, a former Saudi Arabian minister of the haj, the Islamic pilgrimage. Saudi Arabia is the biggest shareholder in the IsDB with 25 percent. Hajjar became president in October 2016, taking over from Ahmad Mohamed Ali, who had led the bank since it was founded in 1975. Under Ali, the AAA-rated IsDB tripled its authorized capital and became a regular issuer of Islamic bonds in the international market. About 95 percent of the IsDB group’s 1,200 staff work in Jeddah. In coming months the group will start transferring staff overseas until, after some years, more than half of them will live outside Saudi Arabia, Hajjar said. The bank has seven regional hubs for its operations and intends to create more; it may make Nigeria a hub, and plans to expand its group office in Cairo. In the past, the IsDB was often a passive investor, waiting for governments, companies or other institutions to launch projects and then coming in later, in many cases providing no more than 10 percent of financing. The bank now intends to conceive and design projects itself and then arrange financing for them through partnerships between governments and private firms, Hajjar said. It is about to conduct trials of this strategy in five countries. Meanwhile, the IsDB will focus more on projects which develop the industrial value chain for member countries, helping them create jobs by exporting finished products rather than just raw materials. This is a shift from its previous policy, which often concentrated on general infrastructure projects. “Money is not the problem – the problem is finding ways to spend the money to have an economic impact,” Hajjar said. In April, the IsDB group launched a $500 million fund that will provide seed money for start-ups and smaller companies, trying to spread their ideas and technologies across the bank’s member countries. Hajjar declined to comment on the IsDB’s specific debt issuance plans but said the bank would continue to promote and develop the use of Islamic bonds around the world. 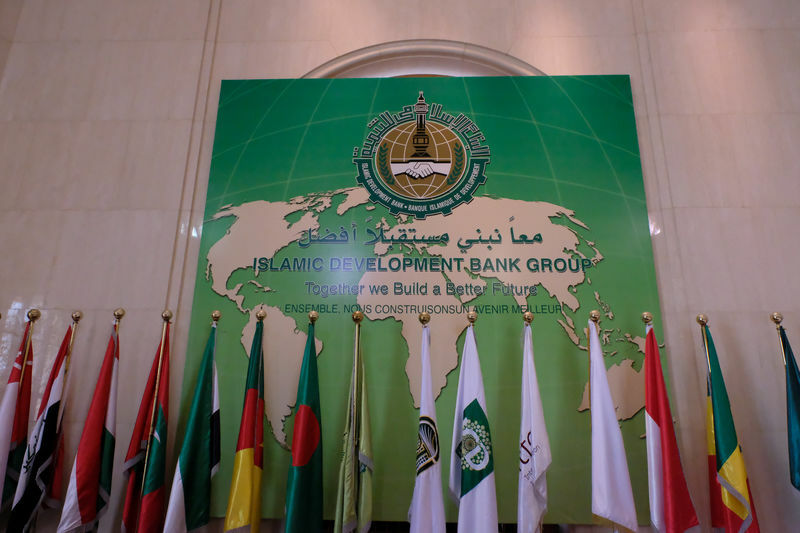 In April, banking sources told Reuters that the IsDB had hired banks to explore the possibility of its first public issue of euro-denominated Islamic bonds; public sukuk issuance in euros is rare. But the IsDB’s issue has not gone ahead, perhaps because of instability in global debt markets. The IsDB also supports the creation of new Islamic banks around the world. Last year it discussed with Russia’s central bank the possibility of establishing Islamic commercial banks in Russia, Hajjar said without giving details of the proposal.